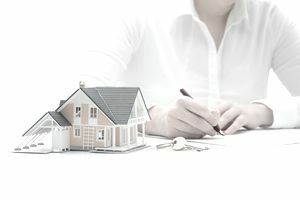 For many potential homebuyers, including first-timers, a Federal Housing Administration (FHA) loan might be the most suitable mortgage for their present financial situation, especially for those putting down significantly less than 20 percent. But if you've neglected your payment obligations to another entity of the federal government—by defaulting on a loan from the U.S. Small Business Administration or having a foreclosure on a previous mortgage backed by the FHA, for example—there's a database that can make your chances of homeownership through FHA lending slim to none. That database is known as CAIVRS, or the Credit Alert Interactive Verification Reporting System. The Department of Housing and Urban Development (HUD), which oversees the FHA, created CAIVRS just over 30 years ago, in June 1987, as a way to keep tabs on consumers who have defaulted on federal debt or had a claim paid on a federally insured loan within the last three years. The CAIVRS database enables program agencies "to prescreen their borrowers and to broaden the federal government's base in determining an applicant's creditworthiness," according to HUD's website. Applicants are prescreened via CAIVRS for all federally insured loans except for FHA streamline refinances. Originally, CAIVRS could be accessed via phone, but that method was discontinued in October 2008. The database is now only available online. Verify loan applicants haven't defaulted or become delinquent on direct or guaranteed loans of participating federal programs. Prescreen applicants for a federal credit benefit and avoid extending benefits to those applicants who are considered credit risks. HUD says the database also demonstrates to the public that the federal government is committed to collecting delinquent debt and meeting federal obligations. CAIVRS contains the Social Security numbers of nearly 4.5 million borrowers from participating agencies. According to HUD data, 242,261 borrowers were in default on an FHA loan as of May 2018. Additionally, 305,103 borrowers had a claim paid on a foreclosed FHA mortgage in the last three years. Which Agencies Report to CAIVRS? The Department of Justice also reports information on lien judgments to CAIVRS. Nearly 100,000 approved lenders, in addition to the aforementioned federal agencies, have access to the database, according to HUD data. What If You're on CAIVRS? As a potential FHA borrower, you won't be able to check CAIVRS for yourself; an FHA-approved lender has to verify your credit status in the database. If the lender has determined you are in default on a federal loan or have had a claim paid on a previous FHA loan, that information will be shared with you, including with which federal agency you're delinquent. This also means you become ineligible for an FHA loan. However, once you take the time to work with the appropriate agency to either arrange a payment plan or pay the debt in full, you could try again for an FHA loan. But if your CAIVRS record indicates that you previously defaulted on an FHA loan, you'd have to wait until after three years pass before applying for a new, FHA-backed loan. If, as a potential homebuyer, you believe there's a chance your status on the CAIVRS database could become a barrier to your home purchase, consider looking into the issue further before applying for a mortgage. Work with an FHA-approved lender to determine your CAIVRS status and make the necessary arrangements to pay off the delinquent debt or set up a payment plan. This would also be a good time to review your credit reports and clear up any negative marks that exist, whether they're accurate or the result of a reporting error. You should also continue to build good credit habits to increase your credit score and establish a positive history. Finally, for boomerang buyers, make sure you're factoring in the appropriate waiting period—as well as doing your due diligence to become a credit-worthy borrower again—before you embark on a new homebuying journey. What Is the HUD-1 Settlement Statement and When Is It Used?